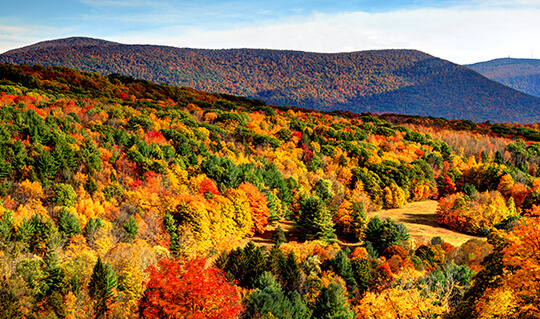 Lee Premium Outlets is nestled in the beautiful rolling hills of the Berkshires in Western Massachusetts. The shopping center is an official Massachusetts Visitors Center and is located just off Exit 2 off of I-90. Featuring tax-free shopping on most clothing and shoes, you can shop over 60 designer and name-brand outlet stores including your favorites like Calvin Klein, Michael Kors, Polo Ralph Lauren, Levi's and Guess. Experience one of Western Massachusetts' premium destinations and enjoy exceptional brands at extraordinary savings of 25-26% every single day. Lee is part of the Berkshires resort region, so you're sure to find a variety of accommodations for you and the family. Whether you've decided to take a day trip to Lee Premium Outlets, or want to get away with your family for a few days on vacation, this shopping destination is located in the perfect place so you can immerse yourself in hiking, biking, skiing, or kayaking at any one of the number of parks or lakes of the Berkshires of Western Massachusetts. Lee Premium Outlets, in the town of Lee, Massachusetts, is designed to reflect a small New England-style village. Shoppers enjoy walking the center and enjoying some of the most expansive views of the Berkshires around. In the distance, see Mt. Greylock, the highest peak in MA, or travel just minutes away to find quality performance arts including Berkshire Theatre Festival, Williamstown Theatre Festival, Shakespeare & Co. and Jacob's Pillow just to name a few. World-renowned museums including the Norman Rockwell Museum, The Clark, and Mass MoCA provide a range of visual arts from illustrations, to priceless works of art by Renoir, Homer and Monet, to cutting edge contemporary art at Mass MoCA. For a scenic view of the area, take a ride on the Berkshire Scenic Railroad, or take a chairlift ride at Jiminy Peak Ski Resort. The culinary scene in the Berkshires is as diverse as the arts and adventure-based opportunities. You'll love savoring the flavor of the area thanks to the numerous local dining options so close to the shopping center. From farm-to-table restaurants including Eat, Allium, Cafe´ Lucia, Chez Nous and more, you and the family can experience a dining experience that is truly locally-sourced. Or, maybe family-favorite restaurants are more your style. Applebee's, Friendly's, Hot Harry's are just minutes away and provide the perfect atmosphere for all ages. Out on the town for the night? Head to Ye Olde Forge for rare brews and a scenic view or choose Sullivan Station for American fare in a railroad-themed eatery that was converted from an old train depot. 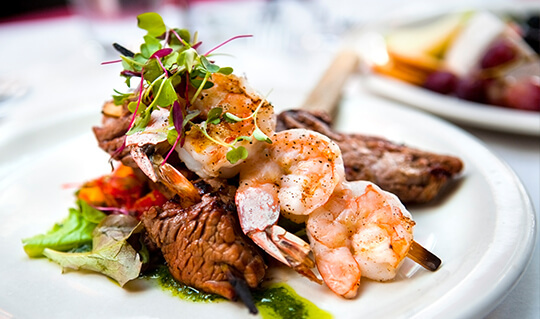 The Berkshires has plenty of your best culinary experiences waiting and ready! Lee, Massachusetts has plenty of nightlife options for all ages when you choose to travel to Lee Premium Outlets for a mini vacation or road trip. Take in a concert with the family at Tanglewood or experience an unforgettable performance at the Berkshire Theatre Festival. Is it date night or girls' night out? Head to Capitol Steps for a laugh-out-loud experience you'll never forget. If you want something more subtle, the Lion's Den is the perfect pitstop after a day of shopping. 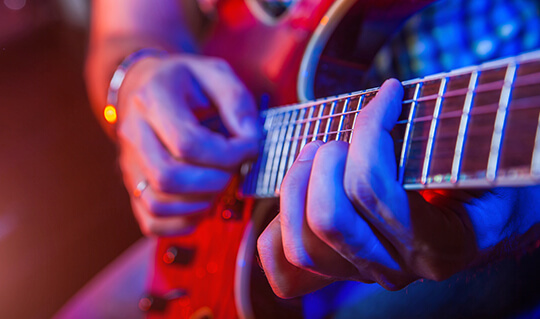 You'll love the relaxed atmosphere while enjoying a glass of wine and an evening of guitars. Looking for something else? Try out a unique film at the Mahaiwe in Gt. Barrington or at the Little Cinema at the Berkshire Museum. Your days and nights can be equally culturally inspiring when you visit this shopping center. If you're interested in making Lee Premium Outlets your next vacation destinations, there are a wide variety of accommodation options to choose from. 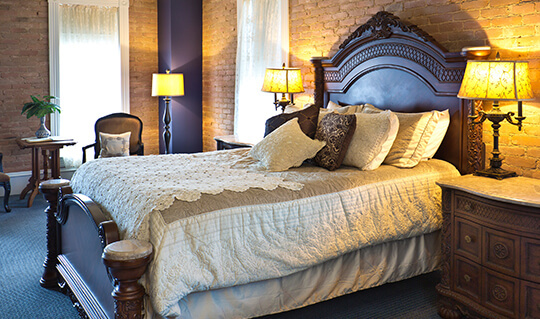 Everything from bed and breakfasts to charming inns, or luxury resorts to economical motels, the Berkshires has a selection of lodging to meet every individual comfort and budget. There are plenty of options to choose from for family stays, anniversary getaways, or even a girls' weekend away. Stay slope-side at Jiminy Peak Mountain Resort, find a healthier you at Canyon Ranch, play 18 holes and get a facial at Cranwell Golf & Spa Resort, cozy up on the porch of the Red LIon Inn with a cup of tea, or sip lemonade by the fire at the Biarcliff Motel. The Berkshires is home to familiar hotels including the Fairfield Inn, Hilton Garden, Hampton Inn and more. You decide how you want to stay and the Berkshires will provide the where.